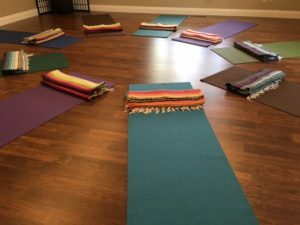 What’s happening at Carson City Yoga? Coming up…. workshops include Meditation Secrets with Jenn Andrews, The Dynamic Shoulders with Angela and Tammie, and coming this summer, another Yoga for Arthritis series. We also have Family Yoga starting in April, plus more…. New to CCY? Try the New Student Special. Are you a regular at the studio? need a weekly tune up? Check our calendar for the regularly scheduled classes. Family Yoga begins April 20th! Great for families with kids ages 4-12. Still relatively NEW! 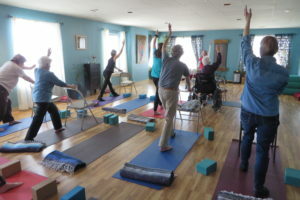 Yoga for Seniors /Adaptive Yoga – Wednesdays at 11am at our 7th St studio. Meditation Secrets is a workshop series with Jenn Andrews… take one or all… details here. Vinyasa Flow and Meditation is a new monthly offering on the 3rd Friday of the month. Our other monthly offerings continue with the Sunday Long Practice, and Yoga Nidra. Check out our Calendar for the full listing of weekly classes. Follow the drop down links under the What’s Happening Menu to explore all the offerings, and check our calendar for the weekly classes. As always, if you can’t find what you are looking for, or if you have questions or suggestions, please contact us. We love to hear from you.